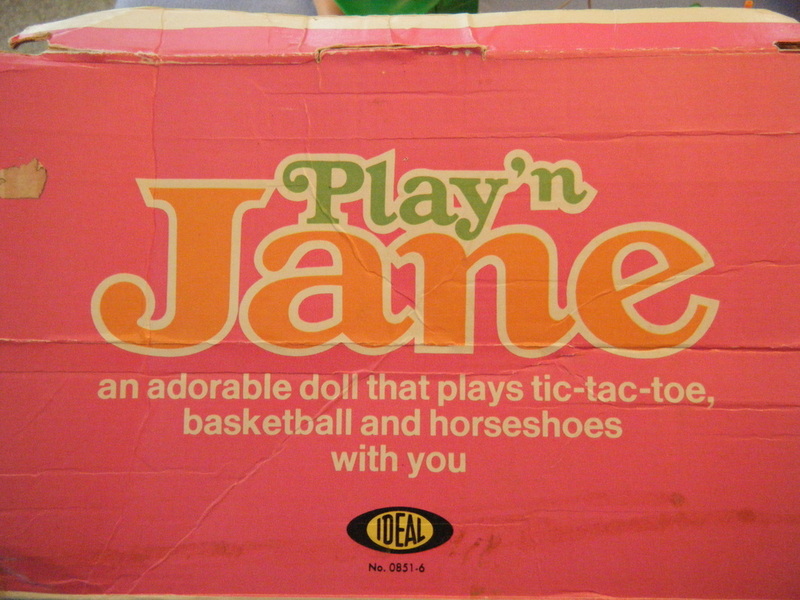 Play'N Jane is an Ideal doll first released in 1971. This is an interesting doll because she can play tic-tac-toe, basketball, and horseshoes with you using her powered arm to operate a launcher. This particular Jane does not work. We thought her motor might have been seized up. It was, but that was not her only problem. Her gear train is stripped. We suspect that someone prevented Jane from dipping her head or held her moving arm during the flinging sequence and overloaded the gears. We will not be able to restore her unless we can find a replacement gear set. Boxes are always a good source of information as well as a good way to store the doll. The artwork on this box mimics a tic-tac-toe layout. 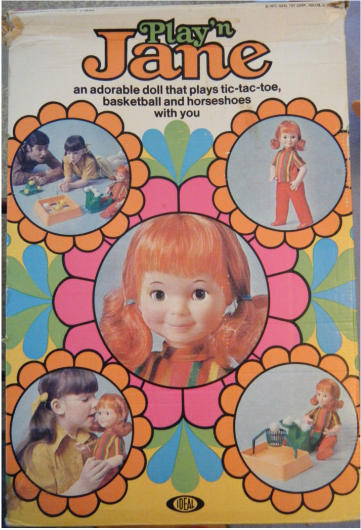 Strange that IDEAL chose to market the doll by making a pun on "plain Jane" when they make a point of calling her "adorable". Jane is shown making a basket and throwing a ringer. The game arena must have come with a flat insert to cover the tic-tac-toe holes. Here is Jane in launch position. Her ball launcher is indexed so as to release one ball at a time. 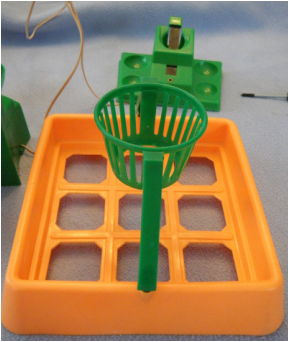 Her opponents launcher is manually operated but closes a switch (connected by the wire) that acts as a trigger for Jane's firing sequence. The basketball hoop mounts on two holes in the tic-tac-toe arena. The doll came with two different color basketball hoops - we think one came from another Jane doll. The orange pylon is the horseshoe stake - it sits in the center of the tic-tac-toe field. This doll is missing a green horseshoe. 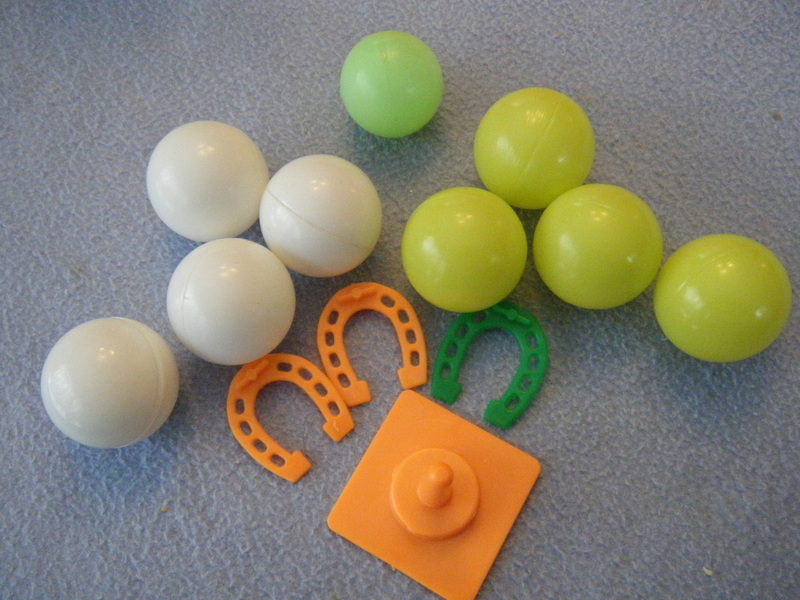 We aren't sure if the green ball was a special basketball or just a stray piece the seller included in the set. 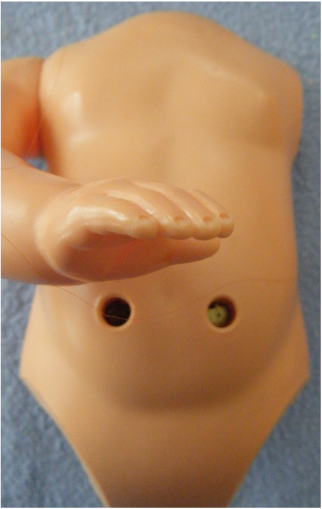 The two holes in the doll's stomach are to provide power to the launcher. 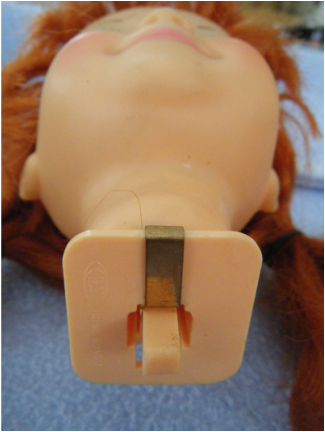 The launcher plugs into the holes - giving it the correct alignment for the doll's motorized right hand to push down on the lever. 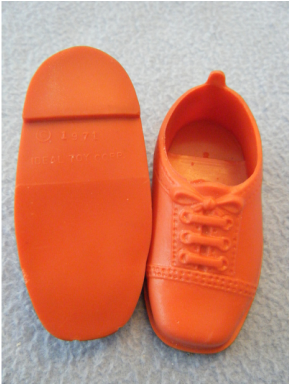 The bottom of the shoe says "1971 IDEAL TOY CORP."
A D cell goes into the doll's back. 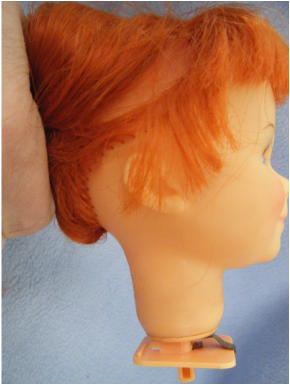 The head on this doll is very clever. A plastic lever is moved by a cam causing Jane to tilt her head downward - like she is concentrating on her shot. The metal clip acts as a spring returning her head to an upright position after Jane makes her shot. Jane's launching arm. The two holes in her belly provide proper alignment for the plug in launcher as well as complete the circuit for the other player's launcher switch - allowing Jane to make her shot. A close-up of the lever and spring system that makes Jane bob her head while shooting. Jane's insides. 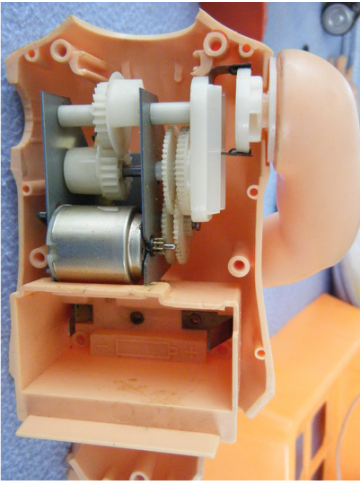 The motor drives a gear train that controls the launching arm and makes the doll nod her head. The slots just below the neck hole are where the square plate at the base of the head slides into place. The lever in her neck rides against the white cam. Jane does not work because the teeth in the gear train are stripped off. 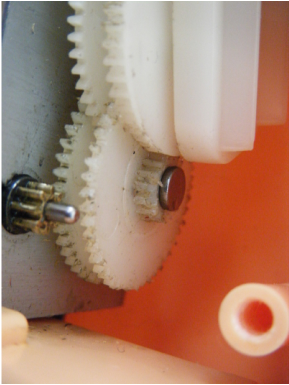 Notice how the teeth are mauled on the smallest white gear and the flat spot on the gear that the small gear would drive.